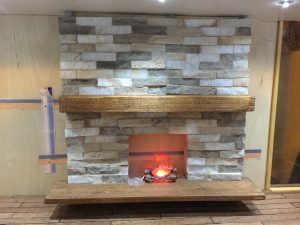 More work on the fireplace – the mantel is installed! And I will grout it. 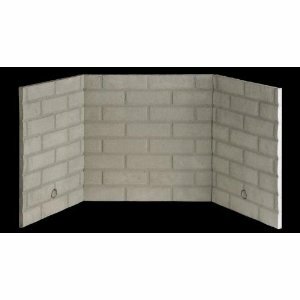 I have some grout handy and can change the color with some paint as needed. I am also toying with the idea of skipping the granite or marble (faux) for the kitchen countertop. I think a matte acrylic would be lovely. I’ve found that TAP’s website will allow one to order pieces cut to size. I’d still need to make an opening for the sink but I think I can acquire the cutting blades I’d need to do this, and I’ll order extra pieces to practice on. 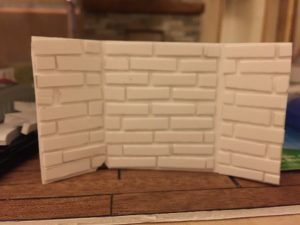 TAP has a bunch of videos about working with acrylic and it is very tempting to spend yet more money on some supplies and start playing around with making some things for the mini house. But I think I’ll restrain myself – this isn’t an inexpensive hobby. In fact, I think my next project will be something like a fairy cottage made entirely of found objects, involving very little money. Enjoy watching their how-to videos – I did! Note: they can’t ship their acrylic glue to California, but there are products on Amazon that can be shipped here.